Fashionable and functional, the EMU Australia Islay Kids is a waterproof, suede mid calf boot. Lined with natural Australian Merino wool for a luxuriously warm and comfortable fit they features a cute, decorative lace detail at the back. The Islay Kids is a cute and comfortable mid calf boot that’s great for children to wear all day long. 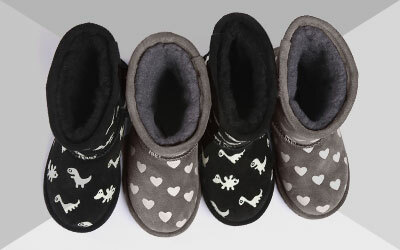 Stylish and waterproof, they are fully lined with soft Australian Merino wool for a warm and snug fit. 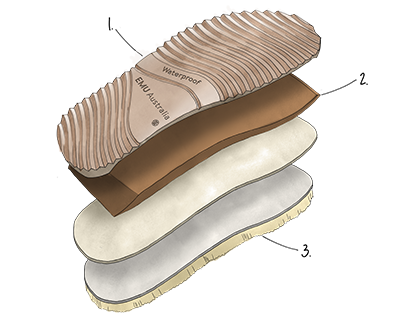 Built on a comfortable and supportive sole unit, the soft EVA midsole provides arch support for growing feet and are available in Charcoal, Oak and Black.